Freedom of expression and media freedom are under major threat in Bangladesh. According to rights group Ain o Salish Kendra 74 journalists were allegedly subjected to torture in Bangladesh in the first six months of 2016. On 7th April, 28 year old law student and atheist blogger Nazimuddin Samad was hacked to death in Dhaka. Later in the month, on 23rd April, Professor Rezaul Karim Siddique was killed in a machete attack. Some claim the academic was also targeted for his atheist views. The terrorist group Islamic State (also known as Daesh) claimed responsibility for the attack. Two days later on 25th April, Xulhaz Mannana a prominent LGBTI activist and founding editor of Roopbaan, Bangladesh's first LGBTI magazine was also murdered in a machete attack. 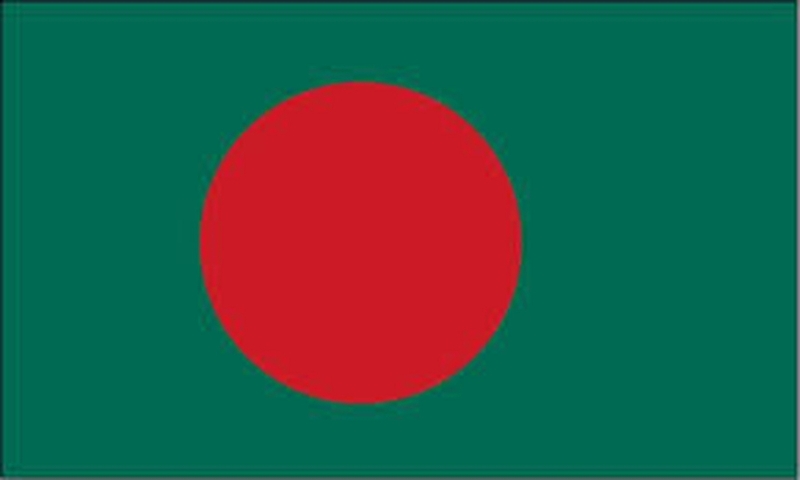 In a recent crackdown, the Bangladesh Telecommunication Regulatory Commission (BTRC) blocked over 30 websites including news portals and some pro-opposition media. Social media is also under surveillance. The repressive Information and Communication Technology Act is frequently used against people who are critical of the government. For example, on 1st August, a Rajshahi University teacher was suspended for allegedly criticising the Prime Minister on Facebook. On August 8, police detained three journalists from the online newspaper, banglamail24.com for spreading rumors about the Prime Minister's son and IT Adviser. Bangadeshi authorities continue to prevent rallies by arresting party activists. Protestors are frequently injured and occasionally killed during clashes in which police use excessive force. On 28th July, the National Committee to Protect Oil, Gas, Mineral Resources, Power and Port organised a peaceful protest march from the National Press Club to the Prime Minister’s office. They made a series of seven demands, including the cancellation of the construction of Rampal Coal-based Power Plant near Sundarban. In response, security forces used tear gas and injured at least 50 protesters. Peaceful protests and demonstrations also took place in opposition to the Gulshan massacre and the secret killings of educationists, open thinkers, cultural activists and religious minorities. Instead of identifying and arresting the killers, the police have increased surveillance of the victims' families. Local civil society groups reported that human rights concerns have been sidelined in Bangladesh as authorities clamp down on critical voices in the wake of two terrorist attacks in Dhaka in July, which killed more than 30 people. After links were established between the attackers and a nongovernmental organisation (NGO), authorities increased surveillance of civil society organisations (CSOs) who they suspect of providing logistical and financial support to the militants and anti-national groups. CSOs are under increasing scrutiny as authorities investigate links between the attackers and civic groups. Security forces are reportedly visiting CSO offices, demanding information regarding their governing structure and individuals on their board. The government threatened to cancel the registration of such organisations, should their links with terrorism be found to be tenable. Many groups fear that this is simply an excuse used by the government to shut down CSOs which are critical of them. Most worryingly, the government is using the state of heightened security to repress the political opposition. During Ramadan, in a special drive against militants, security forces detained over 8,192 people, many of whom are alleged to be the government’s political opponents. A recent Human Rights Watch report documented Bangladeshi security forces knee capping citizens and journalists because of their support for the political opposition.